Combination spring leaf rake blades for professionals. The rake blade VARIO 3350 is characterized by stableconstruction, maintenance-free sliding bushings in the swivelling axis, and excellent functionality. It demonstrates its strengths especially under difficult and tight deployment conditions such as on pavements and in parking lots. 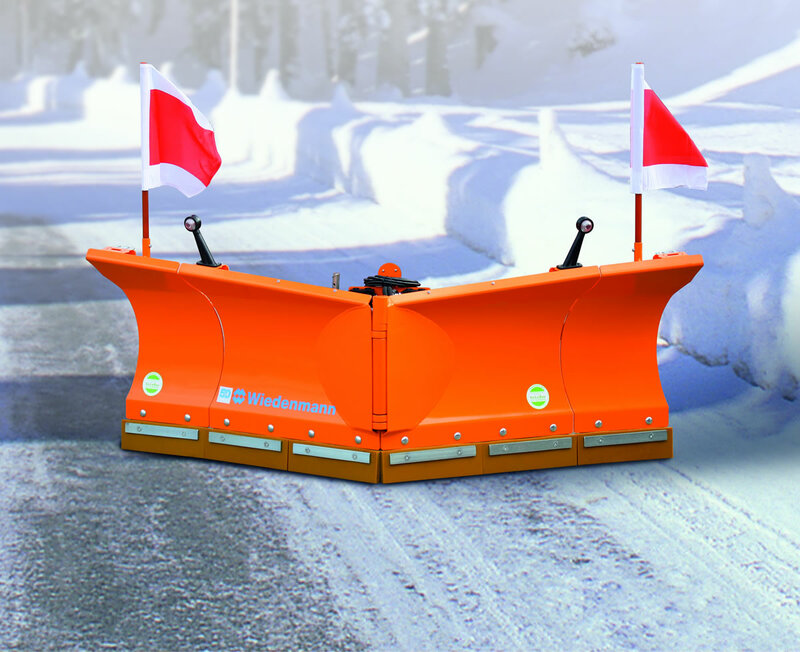 The tilting position of the rake blade up to 30째 permits the snow to be cleared to the left or right without any difficulty. Wedge or V-positions are also rapidly adjustable with the two supplied hydraulic cylinders. The tapered design allows unproblematic near-edge clearing. The VARIO 3350 comes equipped with four spring leaf blades (six with blade width 200 cm). Optional equipment: Plastic or steel scraping ribs,glide shoes, supportwheels , two-fold control block extension from 1 x to 2 x double-acting, delimitation lamps set, set of warning flags. If you are interested in our SNOW MASTER VARIO use the quick enquiry form below.